Fashion Polish: Dior "Les Gris City"
807 Bond Street – A grey London fog with a kick of blue. 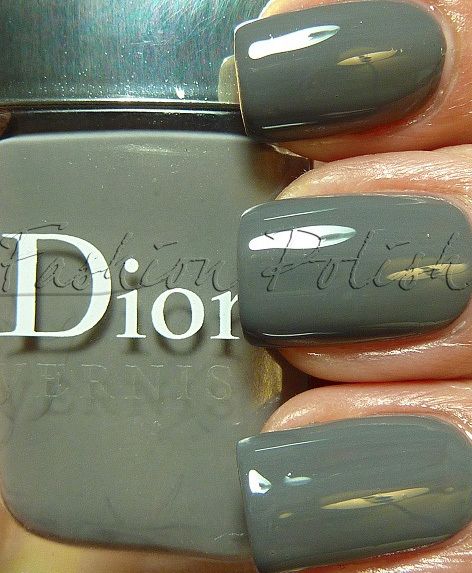 707 Gris Montaigne - the iconic color of the Dior House in Paris. 797 NY57th – Pre-dawn Manhattan. 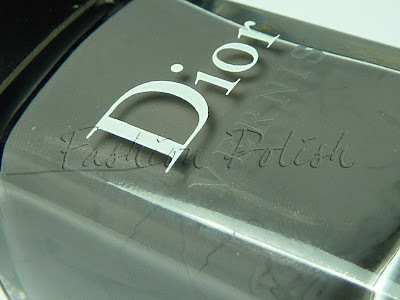 Luckily, I was able to get my hands on these and of course I am very happy to be able to swatch them for you. 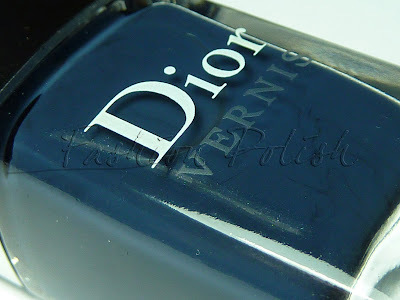 Just like all the other latest Dior nail polishes I have tried so far, the formula was great, really easy to work with. The new brush does take some getting used to especially if you're used to OPI's but once you get the hang of it, the polish applies like a dream. Gris Montaigne is a medium creme grey with slight purple undertone. It's a faux-cream actually, I didn't notice before taking the macro pics or applying it but it has a secret silver micro shimmer, very sparse and unlike Chanel's shimmer. It might not show on the pics but it tends to dry a bit daker than the bottle. Apart from that, not much more to say about this one, it's very pretty and isn't too light or too dark so I can easily see it complimenting a lot of skin tones. Bond Street is my favorite from the collection, I knew I had to have it the moment I saw the promo pics and it didn't let me down. I've been in a blue and teal kick lately and this blue with strong grey undertones (I'd rather describe it that than grey "with a kick of blue") is just what I needed to brighten my day. 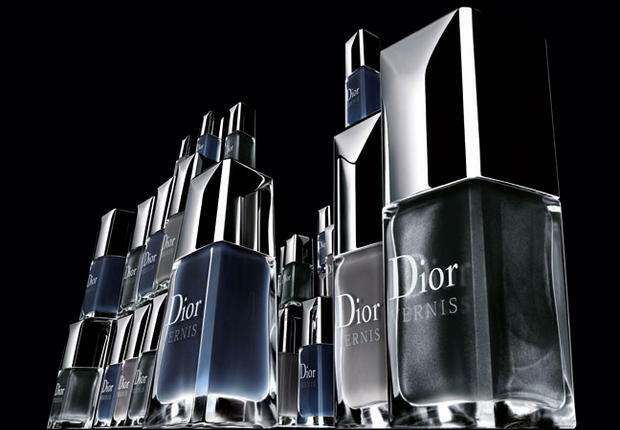 Just like Gris Montaigne, Bond Street has that secret silver shimmer; will it be Dior's new M.O."? 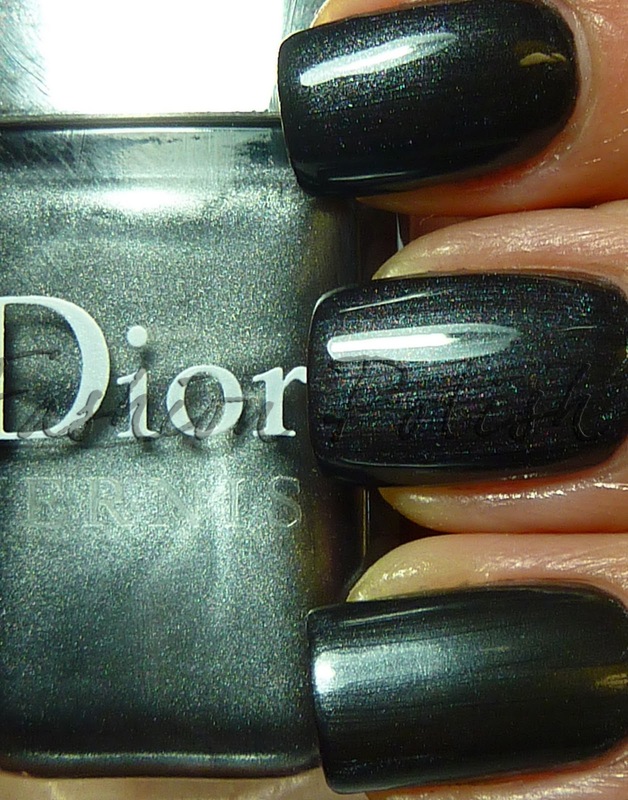 This one also dries darker than the bittle shows and the shimmer is a tiny littke bit more visible. It really gave me a hard time getting the picture right so imagine it a bit darker. Again, perfect coverage and flawless application. I searched trough my stash but I couldn't find anything like it so I'd say apart from the gorgeous color, worth the price tag, for me anyway. NY57th is a gunmetal grey with a very good 2 coats coverage and minimum brushstrokes. It's not the most unusual grey and I'm sure we all have something very similar, if not a dupe, for a very much more affordable price. 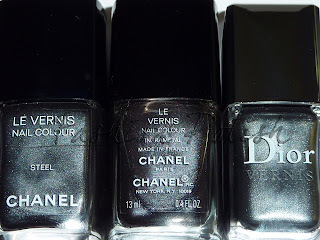 Since it reminded me of Chanel Steel, I decided to make a quick comparison for you, in which I also included Chanel Inframetal just for the fun. You can see that they are both a tad darker, Steel being the darkest despite the deceptive bottles. They also have larger particles that actually consist in a very subtle rainbow shimmer, more visible on nail on inframetal. I have been buzzing around the internet trying to find out information about this collection! 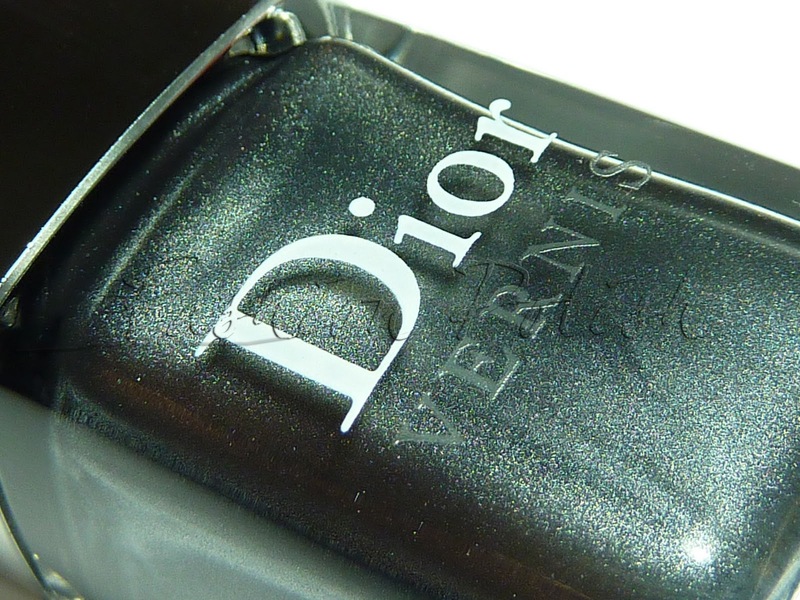 I checked the Dior website 17 billion times this week! *le sigh* i like the new brush too, I have Timeless Gold and its perfection. I'm so happy to see these swatched! They're all gorgeous.....and they look super on you! Where did you get them? I asked a friend of mine to send them to me from Paris, they had an early release in Europe. possible that doesn't look black:) does that even exist? Lol. Thanks for the swatches! trop beaux !! trop de chance :) mais dit moi comment ou ou est tu allée pour les achetés ? je les veux !!! 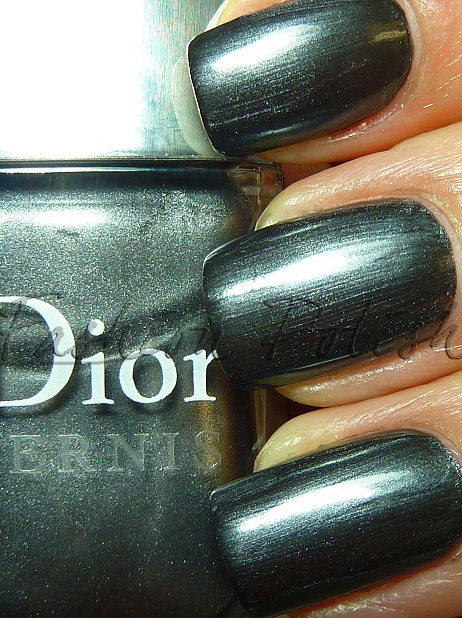 The metallic one, NY57th, is definitely gunmetal, it didn't look black at all, plus I swatched it late at night so there wasn't much light. The Chanel were both darker. Thank you! Do you think it's blue-based. I have Steel and it looks almost black on me:( Good luck on your awesome blog! Can't help myself. 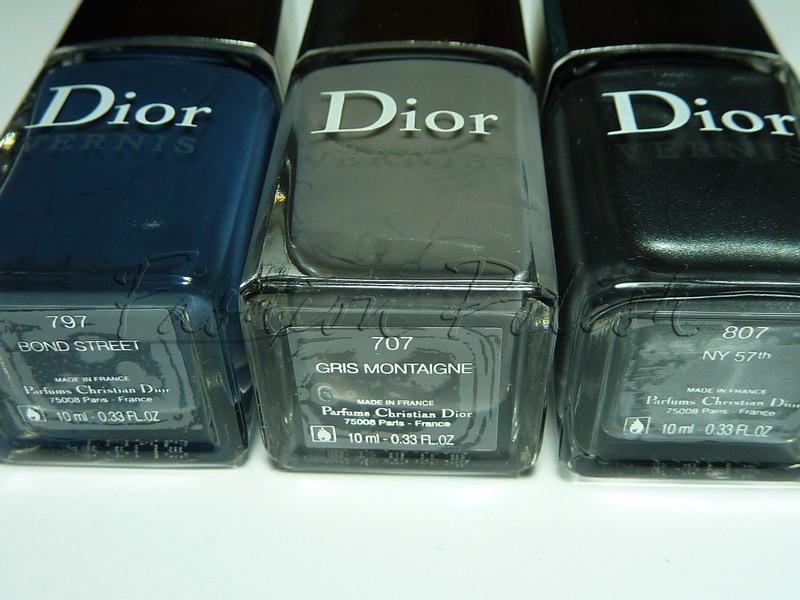 After reading this post and seeing these amazing nails, I had to have them, all three. Ordered them om Ebay, as they will never come to Holland. I can't wait to se them IRL. Thanks for sharing!!! @MarionneB I hope you didn't pay to much for them, sorry... You'll see they're really awesome, especially bond street. Fashion Polish, I know you mentioned you have nothing like it in your stash, but would you say OPI Ski Teal we Drop is the closest dupe to Bond Street? Or what would you say is the closest? 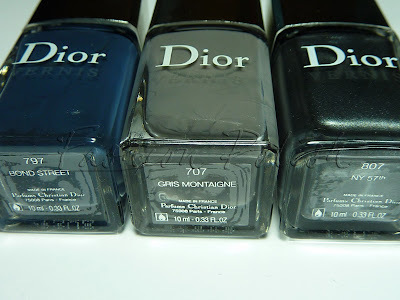 They definitely aren't dupes, ski teal we drop has a green tint while bond street has a very strong grey undertone. I really can't think of any other dupe sorry. 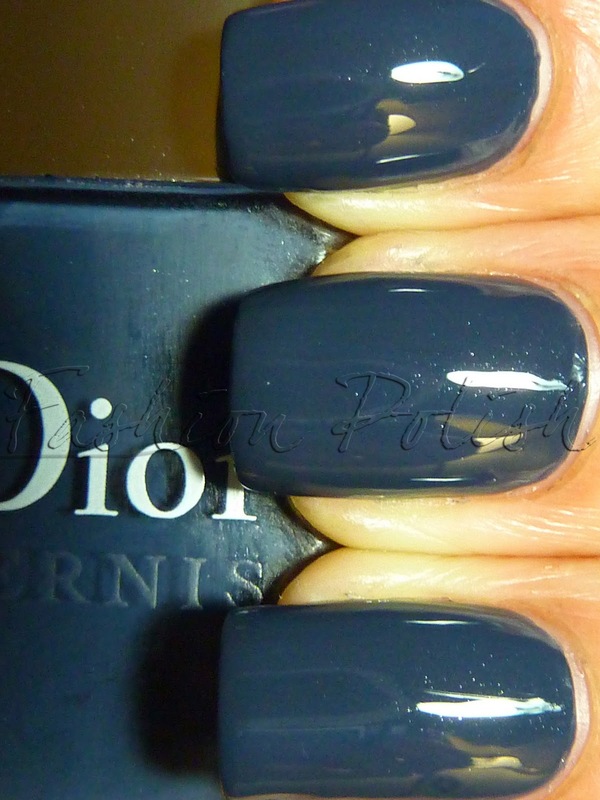 Catrice Hip Queens Wear Blue Jeans looks to be very similar if not a total dupe to Bond Street.